I am always looking for layouts with character. 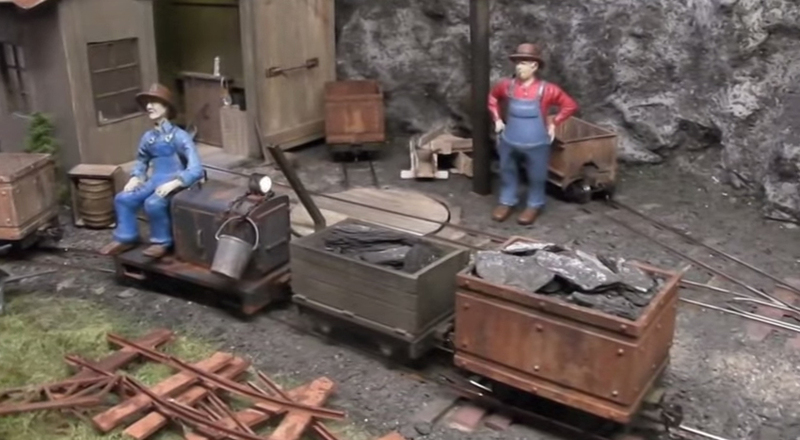 While looking at many Gn15 layouts for ideas i came across this video for the Slate Creek Mining Railroad by Dirk Becker. One of the first things that caught my eye was the great use of color and the attention to detail. According to Dirk’s web site, the layout size (minus fiddle area) is 0.90 meter (2.95 ft) wide by 0.60 meter (1.97 ft) deep. The YouTube video provides a very detailed view of the layout. It includes several views of critters and rolling stock used on the layout. More information about the layout is on Dirk’s website at http://www.dibero.de/gn15/slatecreekmining2/index.html.